Local extraction is the first choice for welding with regards to occupational safety. It ensures that welding fumes are detected right at the source and thus has the greatest chances in achieving high extraction rates. What type of local extraction is suitable for welding depends among other things on the application area. Local extraction for welding holds second place in the occupational safety hierarchy. Substitution holds first place, which is the avoidance of welding fumes by using lower emission processes and materials. For example, rivets instead of welding or TIG welding instead of MAG welding. This option of reducing welding fumes, however, quickly reaches its limits due to the lack in strength and cost efficiency. 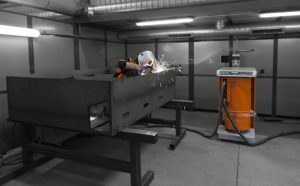 Welding fume detection, which is as efficient as possible, is thus directly at the source often the benchmark for occupational safety. This is prescribed not least in the Hazardous Substances Ordinance, and specifically for welding, the Technical Rules for Hazardous Substances TRGS 528. 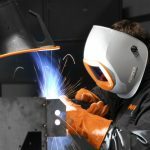 If you picture the spread of welding fumes, you realize why extraction directly at the welding seam is considered the most effective option for detecting welding fumes. Welding fumes rise upwards immediately after the formation of the weld pool due to thermal conditions. Without any countermeasures, it first reaches the welder’s respiratory tract. Welding fumes cool down on their way up and the rise slows until it stops at a height of about 5 to 6 m. At this point, a cloud of welding fumes forms. Without an extraction system, the hazardous substances would spread through the hall and contaminate all of the indoor air. Experts recommend extracting the welding fumes according to the thermal conditions due to this specific expansion. Not all local extraction systems are equal when it comes to welding. Welders have the choice between different options of direct welding fumes detection. Local extraction during welding: High-vacuum or low-vacuum? When selecting an extraction system for local extraction, welders have to face the following question: Low-vacuum or high-vacuum extraction system? To be honest: This is actually not what matters in the end. Vacuum is only a means to an end. The closer you are to the welding point with your extraction system, the lower the air flow required to capture the hazardous substances is. Yet at the same time, extraction nozzles and hoses have to also be smaller and thinner as to not disturb the welder and obstruct his view. Even to extract a little air through thin tubes, it requires a relatively high vacuum thus the term “high-vacuum”. 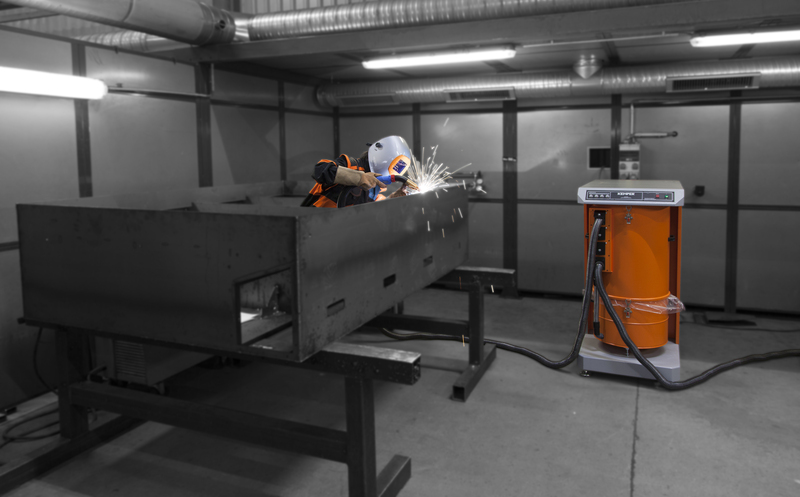 An example for this is the welding gun with integrated extraction, the so-called fumes suction burners. Once you are, however, further away from the source, you require significantly more air for the detection, however, at the same time you are able to use significantly larger cross-sections which have a lower flow resistance. An example is the extraction arm. Since there is a lot of air required, but only a lower vacuum, this process is called “low-vacuum”. A burner-integrated extraction or pistol extraction is actually the most intuitive local extraction when welding. The extraction is always directly on the burner and thus closest to the source. If the extraction nozzle is located close to the tip of the burner, then this extraction system will achieve high detection rates. It only becomes problematic when the welder has to weld in tight angles or corners. Since these burners also have the extraction nozzle in addition to power nozzles and gas jets, it may not be possible for the welder to reach the desired welding point. Therefore, the extraction nozzles are partially integrated at a greater distance to the burner. 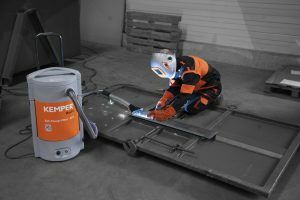 While this increases the flexibility during welding, it lowers the detection rate in line with increasing distance to the source of the welding fumes at the lower air flow rates. Anyway, extraction burners are still considered to be harder to handle. This lack of acceptance among welders hails back to a time when the first pistol extraction systems were designed. The extraction hose, which is also integrated at the burner, makes the burner as a whole heavier and more inflexible. Since then, much has changed. New systems are easier to use, more air permeable and thus disturb the welder less during his work. After all, one thing is a given for pistol extraction: Welders do not have to track since the extraction system follows independently along the weld. The welding fumes extraction system with extraction arm is still the most widely used version of local extraction during welding. High air flow rates are possible thanks to the greater air channel in comparison to the other variants. Thus the systems are in a position to capture the largest amounts of welding fumes. The extraction hood is positioned approx. 30 cm away from the welding seam. The system thus still extracts at the point, however, it is further away from the source than an extraction burner. This is no problem thanks to the high air flow rates. However, the extraction on the extraction arm is not necessarily tracked along. The welder has to be responsible in order to achieve the maximum detection rates. 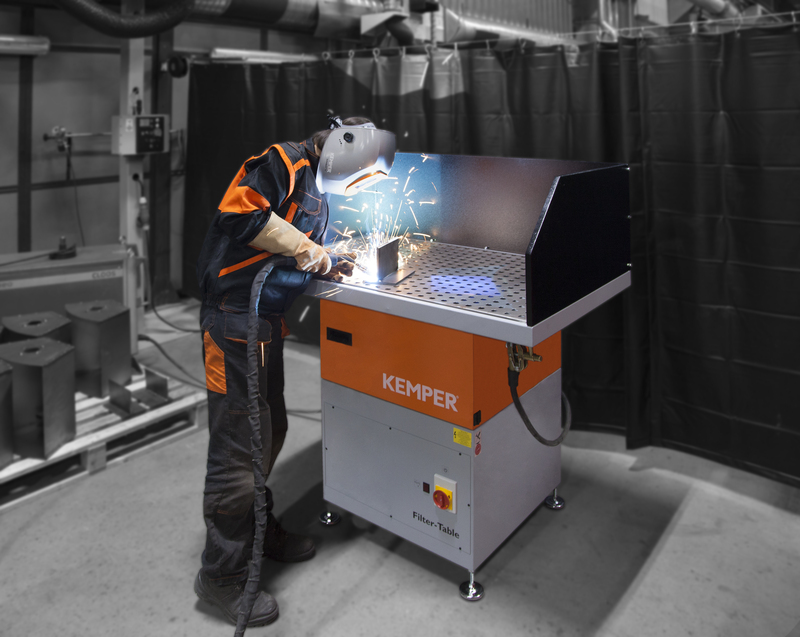 Therefore, this system pushes many welders to their limits, specifically when welding larger workpieces. This system is less useful for steel construction – for example, during bridge construction or for components for offshore structures – since welders will not necessarily want to track along even if mobile extraction systems are used. But: If the extraction arm is optimally designed, then it does make the welders work easier. 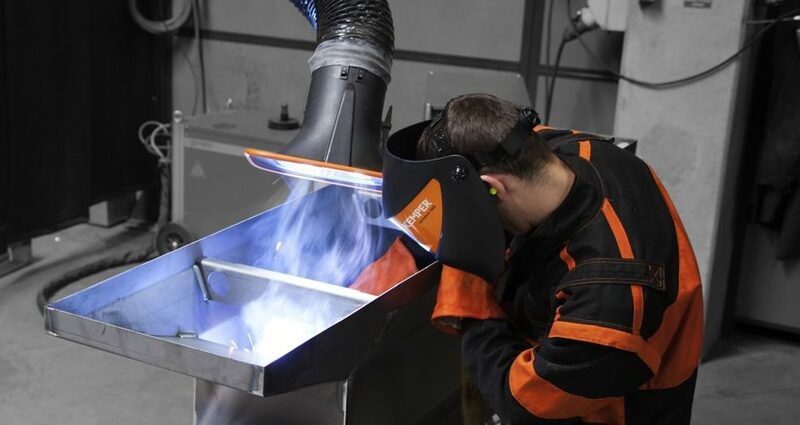 Welding fumes extraction system with an extraction arm is recommended for fixed workstations e.g. in training or component workshops. The so-called high-vacuum extraction system is close to the source, however, combines the disadvantages of pistol extraction and the extraction system using extraction arm. On the one hand, it achieves only minor air flows due to a comparatively narrow hose, on the other hand, the welder has to track it along. This type of extraction system is fixed using magnets or a suction foot. Due to the narrow slit, it has to be tracked along twice as much in comparison to the extraction arm. It makes sense if welding has to occur on recurring components. It is then recommended to position extraction nozzles in the vicinity of these welds. Even extraction tables are suited for local extraction during welding. The extraction system is integrated directly here into the solid base of a welding table. The welding point is ideally located approx. 10 centimeters above. Thus, the extraction system is positioned very close to the source. 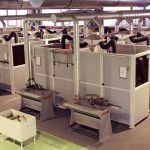 Very high air flow rates can be achieved with extraction tables. However, these systems do not use the thermal conditions of the welding fumes since the table extracts downwards. When welding small parts such as frames, welding tables are a suitable alternative, however, they are not suitable to weld sheet metal. If they rest on the table, their enclosed surface prevents a downwards extraction.